Mary's Place - One of the nicest, luxury, two bedroom, two bath floor plans in all of River Run Village. Less than 100 yard to the Gondola. The balcony overlooks the ski hill. Fully furnished; NEW BEDDING for six, kitchenware, balcony, BBQ by pool, ski lockers. Washer and Dryer on the same floor. Both bathrooms have double sinks. Guest bath is easily accessible from the Living Room. Completely remodeled kitchen in 2015. Beautiful views of the Snake River Wetlands, the Ski Hill and the Gondola Base House. Hot Tubs and Pool have the same open views of the mountains and wetlands. Only a short (less than five minutes) walk to restaurants, bars, shopping, outdoor fireplace, grocery, ski/snowboard/bike rental, and Warren Station. A-Basin is 6 miles! and easily accessible by free shuttle. Underground heated parking. Very easy access to workout room, pool, hot tubs, and game room. Don't forget Keystones Day Spa and the Dillon Outlet Stores. We can also help you with lift tickets, ski and snowboard rentals, mountain bikes, golf courses, hiking, biking, rafting, riding, fly fishing, and/or just watching the sun set from Mary's Place. Luxury, Quiet, Views, Close, Kids, Golf, Fishing, Close to Gondola, Close to Chair Lift, Hot Tubs, Free Weights, Sauna, Steam Room, Very Cozy, Convenient, Kitchen, Gold or Platinum Rating, 5 Star, Low Cost, Heated Parking, Wireless Internet, Easy Access, Best Prices in Red Hawk. Keystone is a great place to ski with family and friends. Plus our condo is close to 6 ski areas, fly fishing on the Blue River, and incredible road and mountain biking. 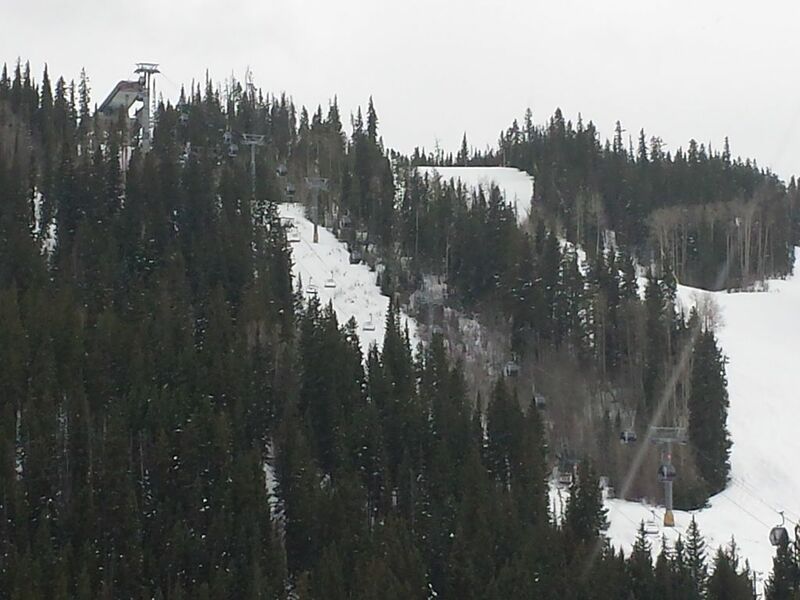 Very close to the Gondola and the ski slope, near Denver, A-Basin, Breckenridge, and Copper. River Run village is only a short walk away, with shops, restaurants, bars, rental shops, a small grocery. Nicely offset from the village night life (quieter). Ski all winter, Golf all summer, and fish, hike and bike on your days off. This condo makes it easy to access everything. A world class ski resort. A world class mountain biking facility. We are adjacent to the River Run Village with bars, restaurants, shops, and a small grocery. about 100 yard to Gondola. about 100 yards to Gondola. Slow cooker. Coffee bean grinder. Usually there are some spices, salt, pepper. One in Living Room, one in each bedroom. one in master and BluRay in Living room. 2 Chairs and a table on the Balcony overlooking wetlands, ski hill, and Gondola Loading area. Mountain Biking is HUGE here. Chairs and tables on Deck beside pool and hot tubs, and on the balcony. Located in the Workout Room. Steam room. Heated pool overlooking Snake Rive Wetlands and Ski Run. Free Workout Room; weight machine, treadmill, elliptical trainer, dumbbells. Sauna and shower. Not to mention Keystone Spa and the Outlet stores and easy access to fly fishing,.Golf, 4Wheeling. Call 4000 on the wall phone for concierge service and to sign up for any activities. Really enjoyed our week stay. Very close to gondola and the village. Enjoyed the nice pool and hot tubs. Scott was attentive and easy to work with. Condo fully stocked with everything we needed. I would stay here again. Mary’s Place was comfortable and clean. We loved how close it is to the gondola. This made spring break wonderful! very nice, wish there were a door between master bedroom and sink area. Great way to check in - very convenient. Were the mid stay people who changed the sheets/towels supposed to do any cleaning at all? Short walk to the gondola, spacious bedrooms and bathrooms, view of the gondola and lifts from the balcony. My only complaint would be the small kitchen. Very well stocked, but no place to put groceries other than on the counter. Parking was great. Nice area and easy to access. All rates INCLUDE TAXES CLEANING AND FEES. We accept all major credit cards using the "Book-it-Now" button. Call Scott at 713-248-1090 or email for info. If you request extra linens or towels Keystone will charge $5. Check out is 10AM, Check in is 4pm.